The standard solution is to hire a temporary boiler; however, equipment availability cannot always be guaranteed. 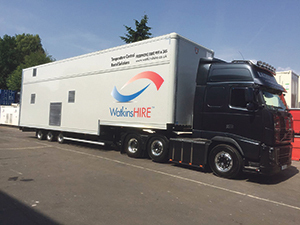 Watkins Hire launched its WASPS scheme to guarantee customers access to a dedicated boiler package to cover downtime of steam plant for all locations, with an agreed number of transport movements/commissioning charges for a fixed monthly fee. One of the first companies to sign up was a leading UK packaging specialist with five UK manufacturing sites.